Any concert featuring guitarist and former Saturday Night Live musical director G.E. 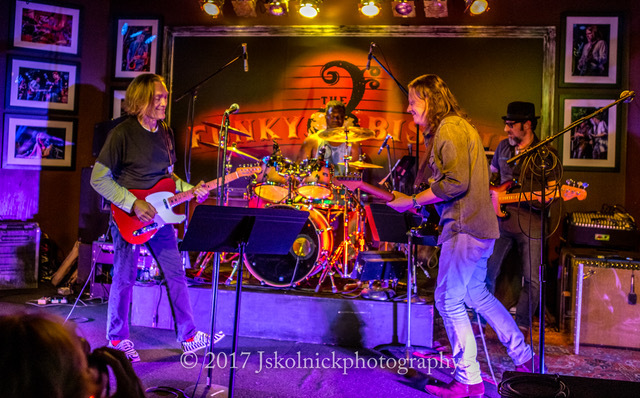 Smith — with an all-star band of former Johnny Winter vocalist Jay Stollman, British blues guitar and vocal icon Matt Schofield, Boynton Beach-based Mark Telesca on bass, and Jeff Beck bandmate Jonathan Joseph on drums — is a benefit for attendees. Throw in an opening act like singer/guitarist Taylor Barton, whose influences span blues to rock; folk to pop, and the ante is upped. But the Feb. 18 benefit show at the Funky Biscuit (www.funkybiscuit.com) in Boca Raton has a deeper mission statement than just entertainment, just as it did when the same all-star lineup appeared for the cause at the same venue a year ago. Smith, Barton (his wife) and the all-star collective will perform in a benefit for FarePlay (fareplay.org), the nonprofit organization founded in 2011 by West Palm Beach resident Will Buckley to work on behalf of musicians, songwriters, visual artists, writers and photographers in collecting fair compensation for their works in an era in which internet piracy has drastically cut into their profits. FarePlay’s founder and president isn’t a musician, but the New York native once started his own San Francisco-based independent recording label, Cold Water Records. He’s also worked in band management and as a deejay, and was until recently a blogger for the Huffington Post (until that online publication suspended its blogs). And he’s decidedly old-school about the arts in general; recorded music in particular. The results, he adds, include not only a less-educated listening public, but also one that has to shell out more money for concert tickets — the prices of which have increased exponentially. “Growing up in the Northeast meant I practically lived at places like the Fillmore East in New York City and the Tea Party in Boston,” Buckley says. “That’s where I saw the very first nightclub show Led Zeppelin ever played in the United States, and it was amazing. But tickets to shows now are ridiculously expensive. And why? Because artists don’t make money from selling their recordings anymore. 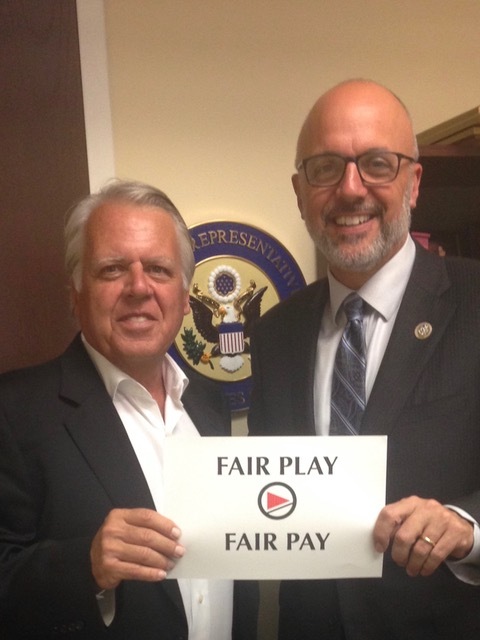 Buckley says FarePlay has experienced steady growth, picking up spokespersons along the way like country singer Rosanne Cash and Talking Heads front man and solo recording artist David Byrne, and has gained support from political allies such as U.S. Rep. Ted Deutch, the Democratic member of the House of Representatives for Florida’s 22nd Congressional District. 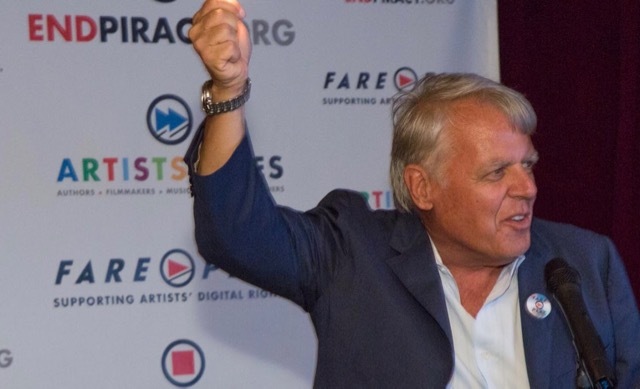 All of which echoes the mission statement of FarePlay, which is essentially to gain recording artists more than the current fraction of profits — literally cents in comparison to the dollars they receive from selling a recorded hard copy — from a streaming Internet sale. As are the business models within all internet-related creative arts. Bassist, guitarist, vocalist and cancer survivor Telesca, who hosts the Funky Biscuit’s popular weekly Biscuit Jam on Monday nights, has also recently performed solo for veterans at the West Palm Beach VA Medical Center in a new FarePlay program called “Recovery Blues.” Buckley knew Telesca had the connections to assemble the benefit’s all-star lineup to accompany Smith, who’s worked extensively with the likes of Bob Dylan, Hall & Oates, and Roger Waters as well as being SNL’s music director from 1985-1995. Smith’s career at SNL was preceded by his 1980-1982 marriage to one of the show’s brilliant original cast members, the late Gilda Radner, who also employed him as guitarist for her 1979 solo show, “Gilda Live,” and sang backup on his 1981 solo debut recording In the World. Just as he’s obviously thrilled to take the stage again at the Funky Biscuit, with such talented accompanists, for the FarePlay cause. Vocalist Stillman and bassist Telesca are both stylistically steeped in soul music, and guitarist Schofield is a British Blues Hall of Fame inductee who’s a rising star regionally and across the world. As one of the world’s technically limitless drummers, Joseph is likely to be the lineup’s wild card. A Miami native who studied at the University of Miami under acclaimed instructor Steve Rucker, he’s a logical successor within Beck’s history of great drummers, including Richard Bailey, Narada Michael Walden, Simon Phillips, Terry Bozzio, and Vinnie Colaiuta. The versatile Joseph’s other touring and recording credits run from pop (Joss Stone, Ricky Martin) to jazz heavyweights like Joe Zawinul, Pat Metheny, Al Jarreau, David Sanborn, Randy Brecker, and Mike Stern. See A Concert Benefiting FarePlay featuring G.E. Smith & His All-Star Band, with opening act Taylor Barton, at 7 p.m. on Sunday, Feb. 18 at the Funky Biscuit, 303 S.E. Mizner Blvd., Boca Raton (561-395-2929, $25-$45; $30 day of show). Filed Under: Music Tagged With: FarePlay, G.E. Smith, Jonathan Joseph, Mark Telesca, Matt Schofield, Ted Deutch, William Buckley Jr.